Submission Checker checks XML- und PDF-based data from typesetters. 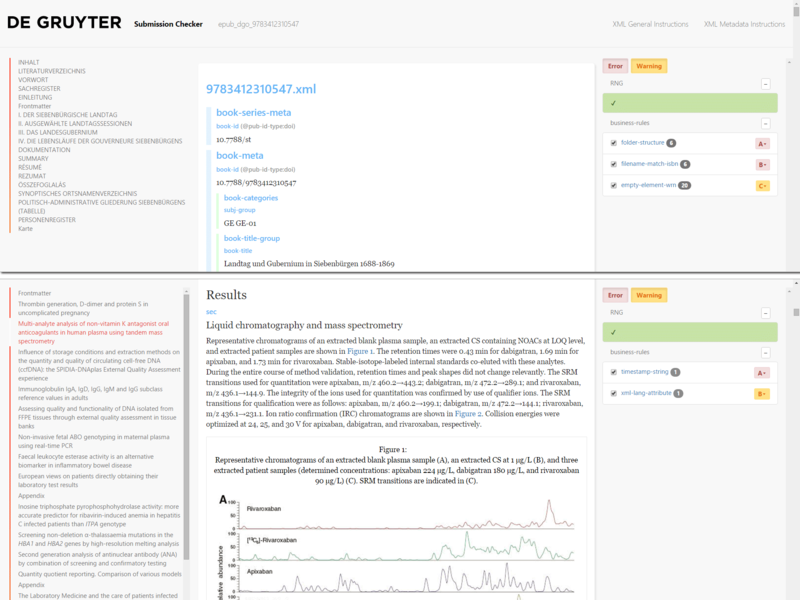 The De Gruyter Submission Checker uses over 100 Schematron rules to check the XML supplied by typesetters for the publisher’s book and journal production. It thoroughly checks the metadata, naming conventions and file structure of the packages. It also validates the data in relation to the publisher’s schema and performs a Unicode character check and a PDF check. The individual rules can also be combined into checking profiles in order to guarantee different degrees of rigor in the checking of current data and archive data.